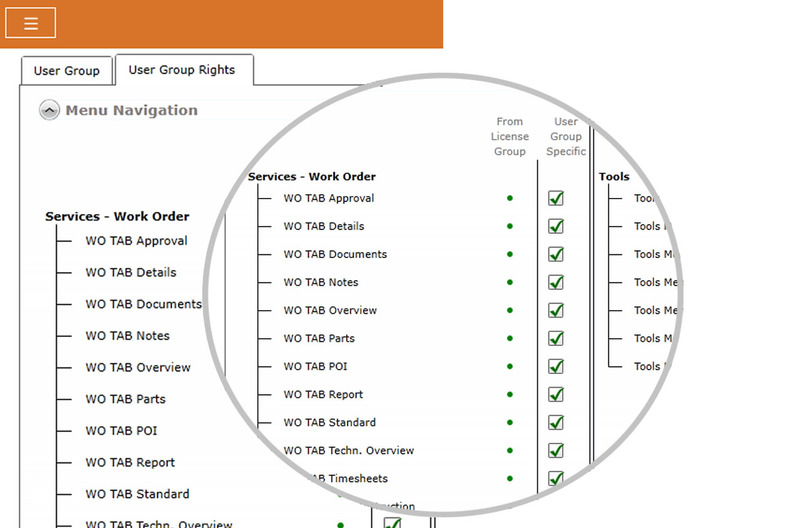 Define your work order types, the associated work instructions, skills required, Issue Management flows. Define stock locations and link them with the technician’s car. 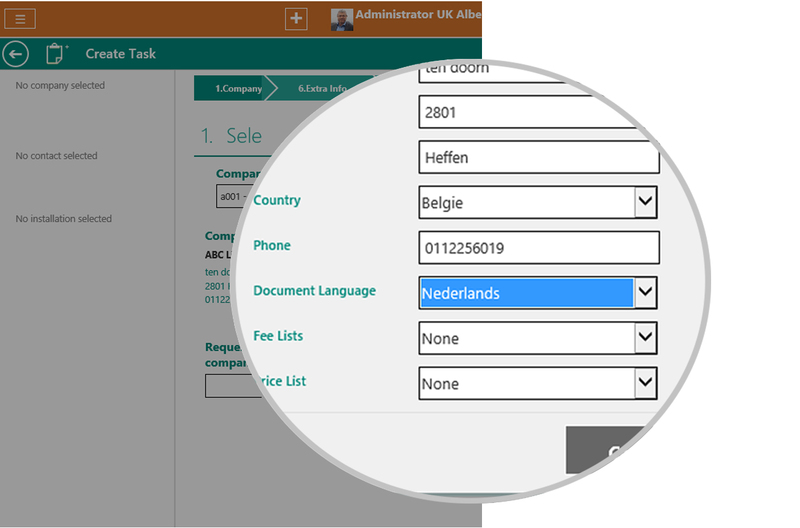 Manage detailed user and access rights. 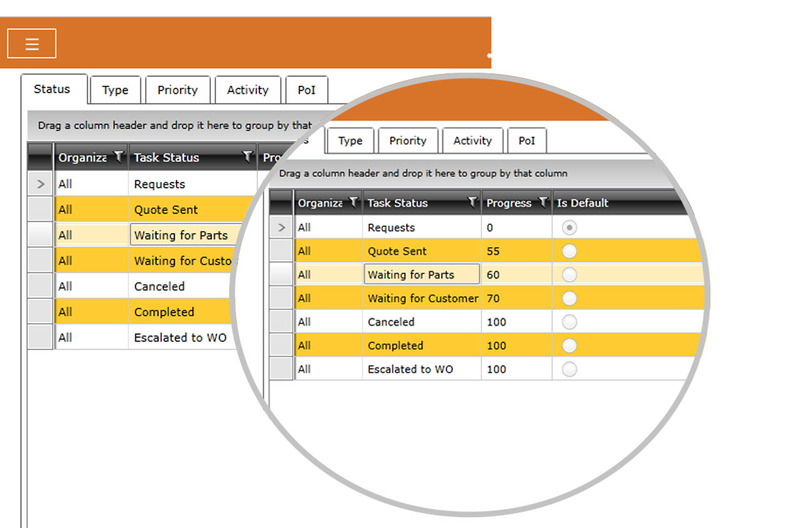 Implement workflows and manage your field technicians’ activity: use the status sequence (e.g. available, on the move, dealing with a work order), calculate techicians’ time worked, time travelled, etc. 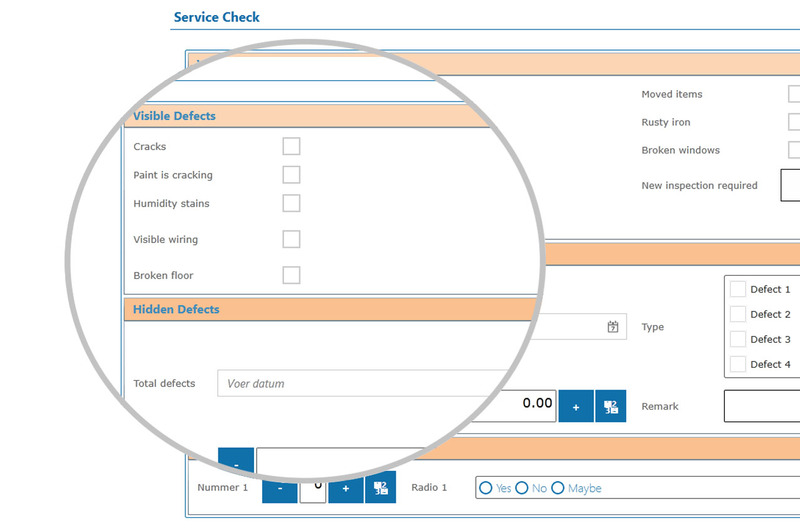 Use the form builder for service reports and inspections, or to save the specifications of installations, or tasks, or work orders. 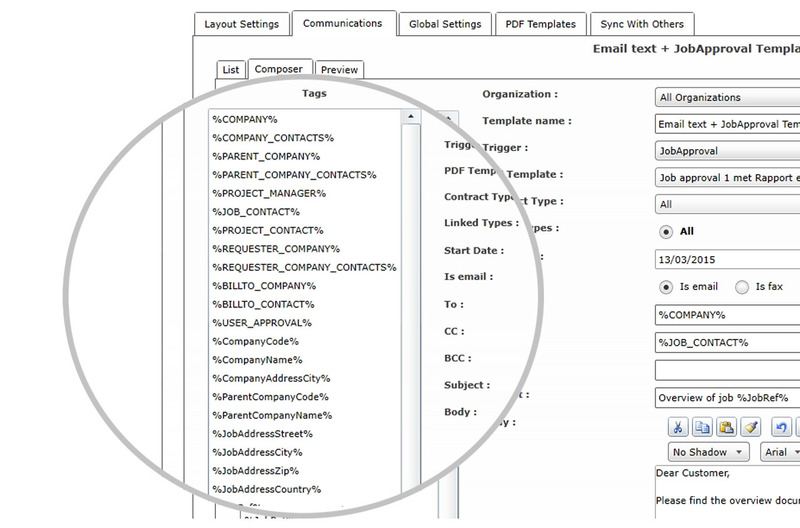 Create and configure all types of communication throughout your industry specific processes. Decide how to communicate, what and to whom. 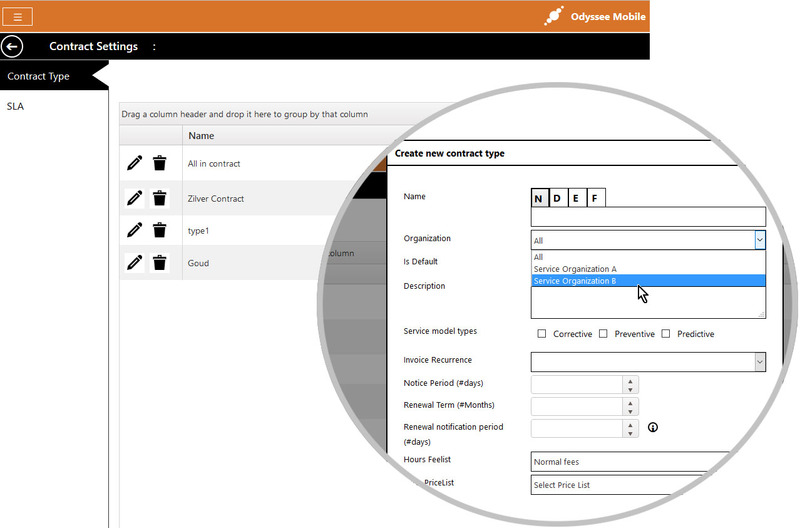 Odyssee Service allows multiple business units or Service Organizations to use one and the same Odyssee platform. Each business unit can apply its own workflows and settings, each user will only see data from its own business unit but overall settings, platform management and dashboards can be applied as well. 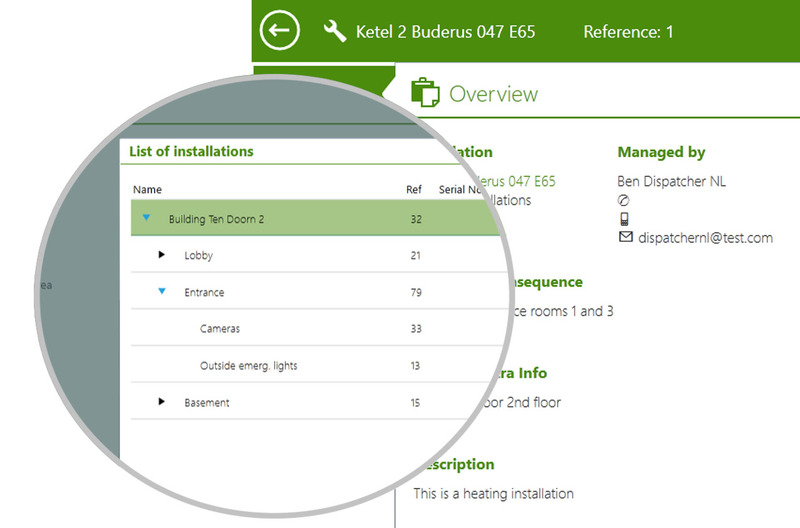 The Odyssee field service software can be can be very specifically configured per user. 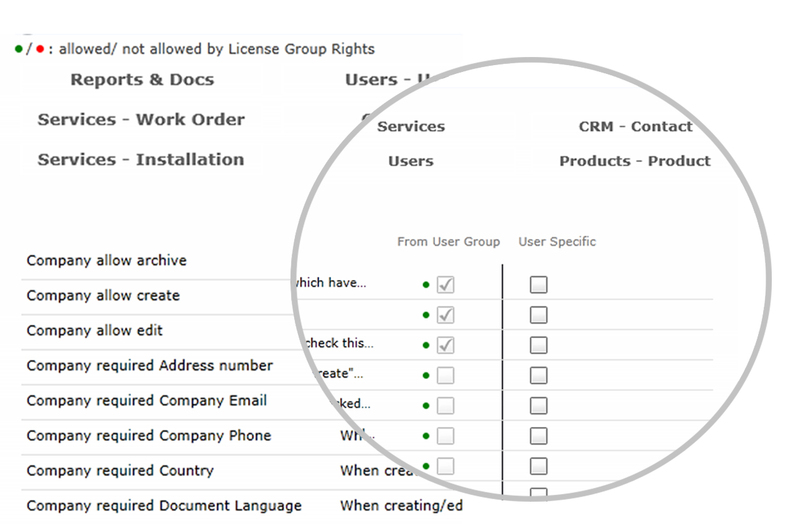 Decide in detail which user group or individual user can access a menu or a feature. 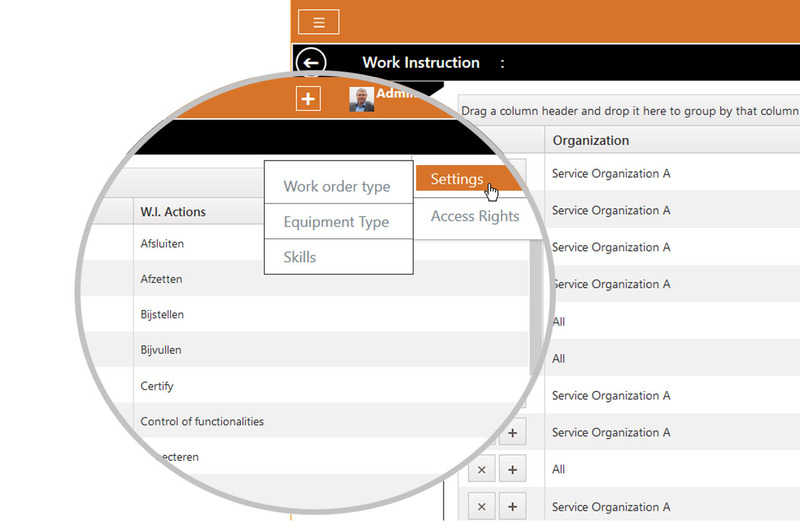 Organize your roles into user groups for easy rights management. Not only can you manage the interface languages so each user can easily understand the software, but as your customers can recieve the different communication messages and service reports in their own languages.